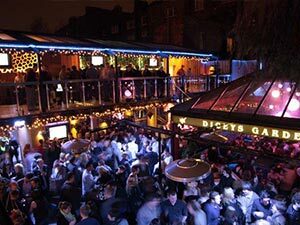 The all-encompassing district of Baggot Street, all the way to George Street, is the biggest nightlife district in the city. This nightlife district holds more bars, pubs and clubs than even the Temple Bar. Although, it might be bigger, it’s a whole load more upmarket. This area includes the big dogs, Grafton and Dawson Street, as well as George and Baggot Street, often thought of as the centre of the city. 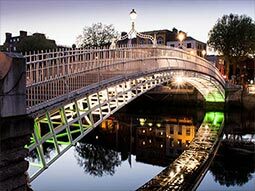 Aside from the Temple Bar, they are the most popular ‘strips’ in the Irish Capital - especially for shopping and food. They boast a huge amount of stores and souvenir shops for the stick on ginger beards, chocolate shamrocks and leprechaun fridge magnets. Along with that, these streets have enough Guinness, craft beer and hen groups to keep you occupied for four weeks, let alone 48 hours. The largest nightlife district in the city needs no introduction, hosting huge bar nights, A-list celebs and even better pubs. 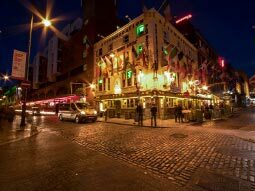 Toners is one of the oldest and most recognisable pubs in Dublin. Add to that, the multiple awards – including Dublin Bar of the Year in 2015 and Snug of the Year – and there’s no wonder this place attracts celebrities. Speaking of celebs, pick the right weekend and you’ll be rubbing shoulders with the entire Anchorman cast, Mumford & Sons – who performed on stage – and even Shaggy… As the venue is so old, established around 1818, the interior is super traditional; brass bar taps and flagstone floors. 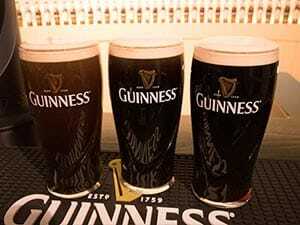 However, the pints haven’t changed much and the Guinness is still some of the finest in Ireland. 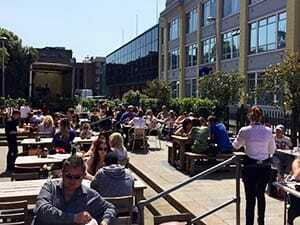 You can even take it out into the massive beer garden (Dublin weather permitting), regularly topping the best outdoor terrace lists in the city. 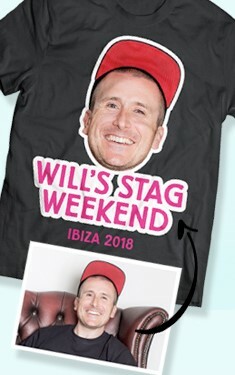 A stag do in O’Donoghue’s will stay with you for life. O’Donoghue’s is busy at all times, with a long and loyal following of local punters. These followers come for the impressive live music, widely regarded around the capital. O’Donoghue’s has long been associated with music; The Dubliners, thought of as the forefathers of Irish folk music, started their epic careers here. Others who have performed sets at the pub have their framed pictures on the wall, placed alongside a large selection of historical music memorabilia. The history flows through the bar, side by side with Guinness, and you can experience that live music every day of the week. Lillie is the kind of woman you want on your stag do. 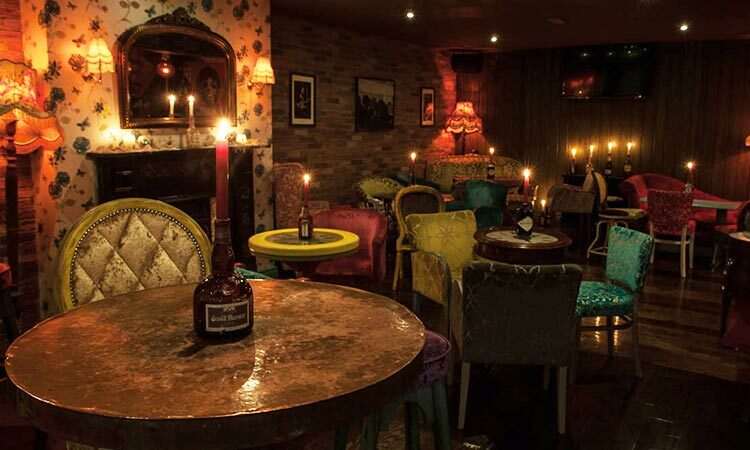 In fact, she’s the woman you want for marriage… Lillie’s Bordello is widely renowned as the most exclusive bar/club in the city, located just off the trendy Grafton Street. There’s no beating around the bush, Lillie is high maintenance - featuring sleek interiors, VIP areas, deep red booths and gorgeous crowds. However, she’s worth it. 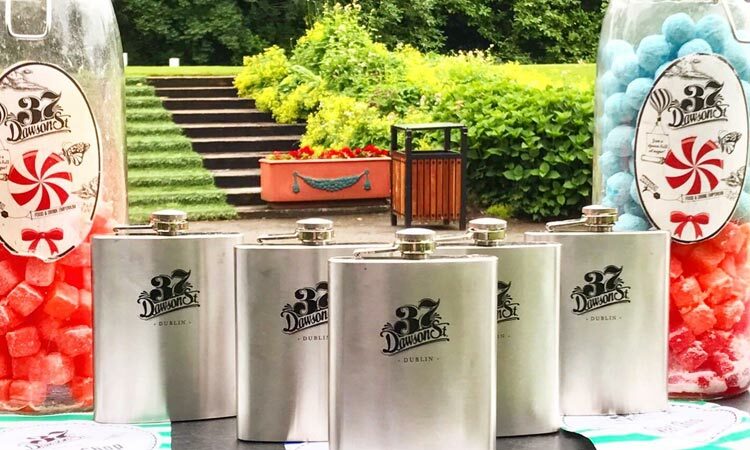 You’ll be rubbing shoulders with Ireland’s finest, even world-famous A-listers such as Rihanna… If she’s not there, you’ve got the massive selection of the world’s finest whiskies to keep you company. Foley’s is three floors of traditional Irish craic. 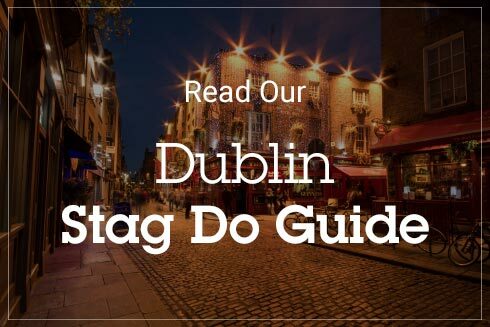 You’d expect nothing less with a name like Foley’s… Spread over three spectacular floors to while away the stag weekend hours, there are four different areas for your group. 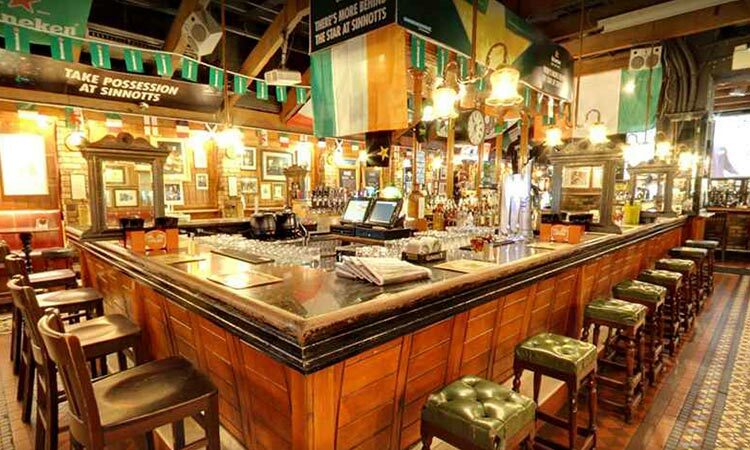 The Kitchen serves up the tastiest Irish grub and Reilly’s Bar is just as authentic, with live music sessions ‘til late. The Hub is packed full of sports fans, day and night, with state-of-the-art giant screens over two floors – displaying rugby, GAA, football, you name it. The Loft at Foley’s is an altogether new inspiration, an exciting room for musicians and artists to showcase their talent. All of these areas have several factors in common; Guinness, music and craic. Sinnotts is si-nnott just any bar, it’s a sports bar. 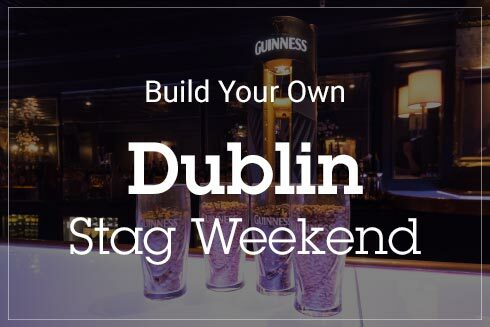 In fact, it’s the premier venue for watching sports on your Dublin stag weekend. You can’t move when there’s a match on – especially if they’re showing the GAA on one of the 14 screens around the pub. 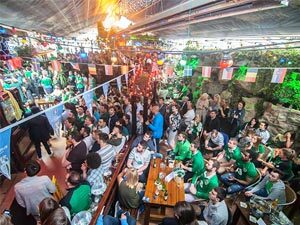 The traditional-style bar is set directly under St Stephen’s Green Shopping Centre and, due to that, draws in big crowds at all time. It serves top quality pints, famous carvery lunches and craic, along with a mixed bag of tourists and locals. 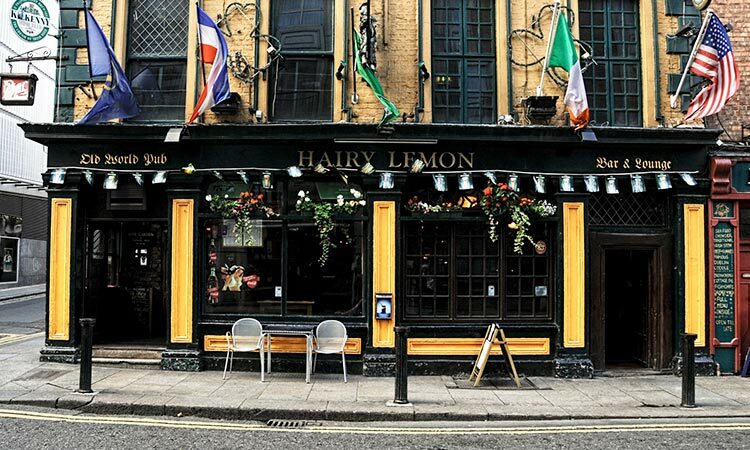 The Hairy Lemon is as eclectic as its name. So named after one of the city’s greatest characters; a dog walker from the 50s, with a face shaped like a lemon and stubbly, gooseberry like hair… It’s not just the name, as the 19th century house it resides in is also unique, renowned for its quirky interiors. The walls are bursting with memorabilia, and you’ve got ‘Grannies Kitchen’, High Nellies and an upstairs function room to explore on your stag do. These rooms are so fantastic, they’ve even been used for several scenes in the Block Buster film, The Commitments. 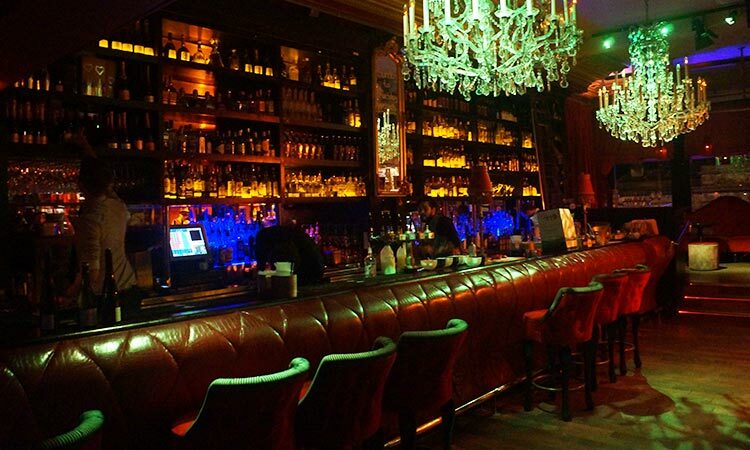 This is not just any Dublin bar, this is 37 Dawson Street. It’s the James Bond of the already very gentlemanly street, serving men in suits and women in short dresses (hen groups…). This late-night venue is sleek and contemporary, in that it has the necessary speakeasy vibe for a 21st century bar. 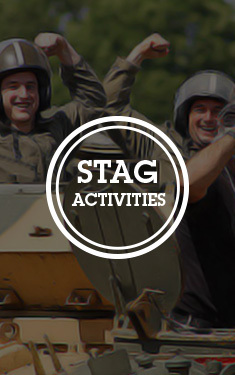 Just past the crowds and premium spirits (for the stag, not you, Dave…), they’ve got a fringed whiskey bar at the back. This bar has a hand-picked list of 37 different whiskies to choose from, all served in cut glass and under the guidance of an expert in the liquid nectar. We’ll see you there. Kehoe’s is relatively untouched by Dublin’s tourists. 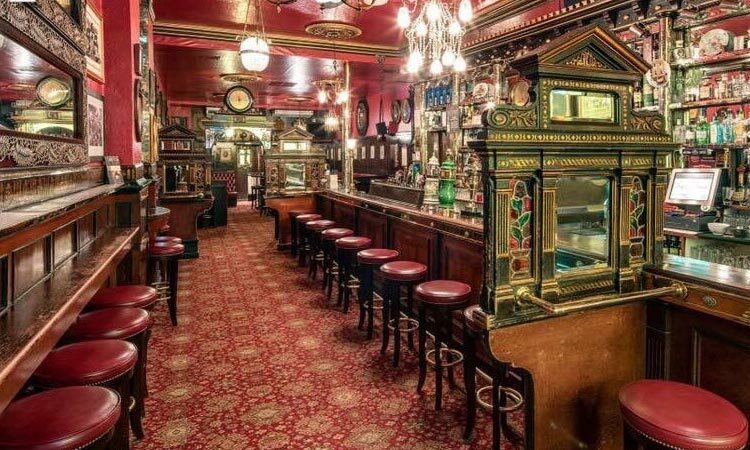 As one of the most unspoilt pubs in The Emerald Isle, it started life in the 1800s and still retains that old charm (with the addition of a few licks of paint…). 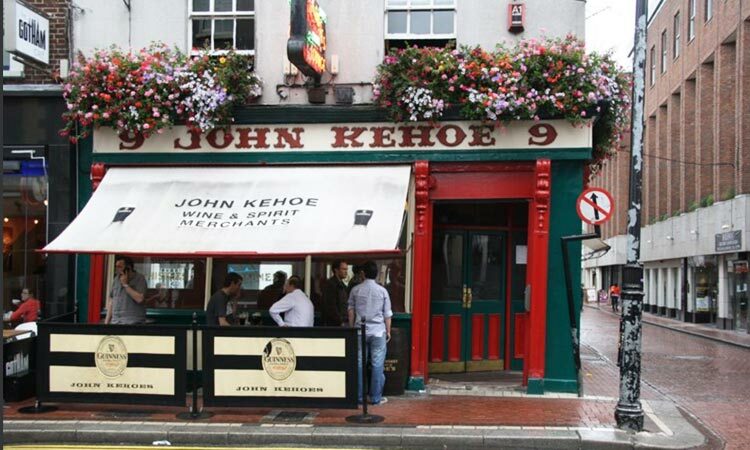 Kehoe’s oozes tradition through every nook and cranny (literally), once a Victorian grocers. The Grocery Bar boasts a low shop counter and ancient drawers, where tea, coffee and rice were once stored. Thankfully, those essentials have been replaced with stout, namely Guinness. 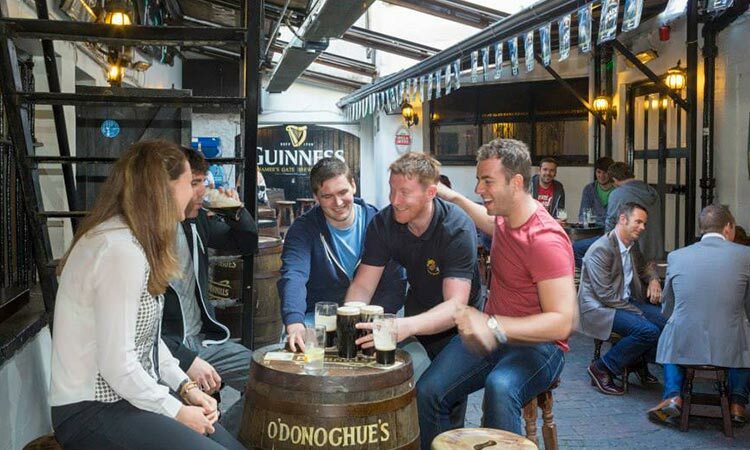 Folks travel from far and wide to sample the Guinness, often described as the finest in Dublin, and soak up the authentic vibe in one of the many snugs. You couldn’t find a better place to cure the hangover and rest (read: sleep by the fire), before a night out in Dublin, if you had two weeks, let alone two days. Jameson’s former Bar of the Year (high praise indeed) has enough history to make even your Father-in-Law red under the collar. This building is part of Dublin foundations; once a dressmakers, surgery, brothel and then home of the Irish government (we’re saying nothing). A six foot tall Amazonian woman, thought to be the inspiration behind the Statue of Liberty, was also said to be kept here as a French prisoner of war in 1798. The interior reflects its rich history (not the brothel bit), and is styled on turn-of-the-century France. 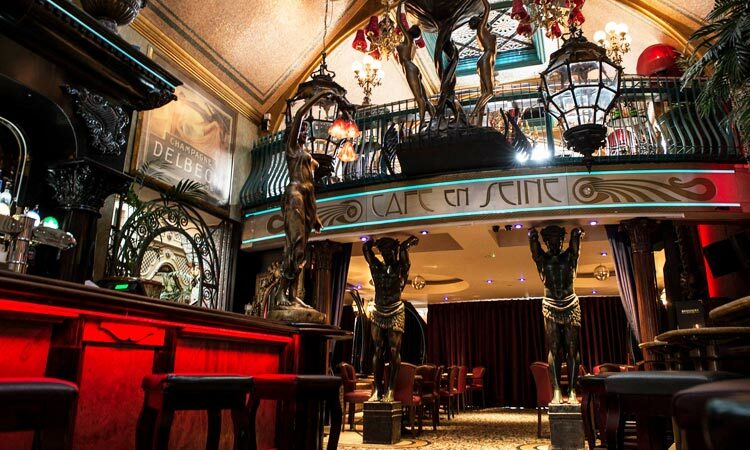 They’ve got a Louis XIV bust, a grand piano (Dave, sit down…) and a French hotel lift running through the building. Thankfully, the drinks have been updated, with a massive selection of craft beers on tap. 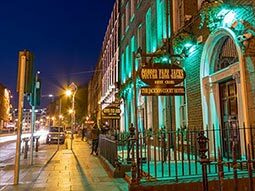 Explore Dublin's busiest and oldest pubs between Baggot and George Street. 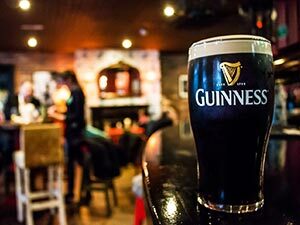 Head over the River Liffey and prepare for the most traditional pubs in Dublin. Enjoy a more alternative and cooler nightlife on your stag do, in Camden, Wexford and Harcourt. 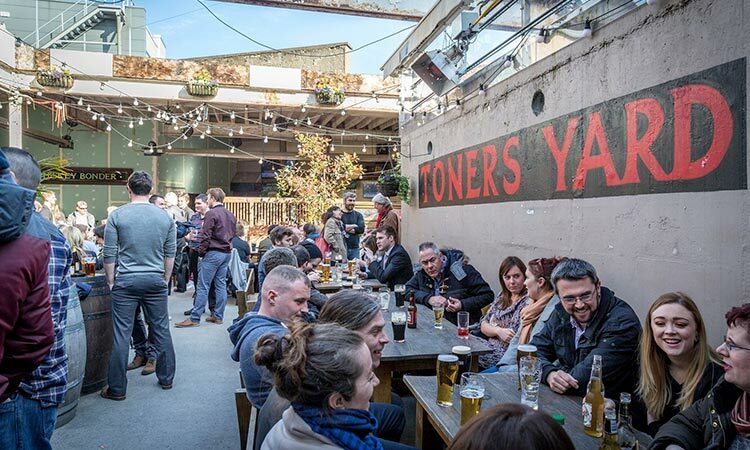 There's no better way to celebrate your stag do than by drinking in Dublin's best beer gardens. Dublin can be expensive... but we've rounded up all the tips for Dublin on a budget.